Tax authorities in India have expressed money laundering concerns with investments and trading of cryptocurrencies like bitcoin. Indian tax authorities fear that trading of cryptocurrencies ‘could become conduits for illicit flows and the movement of black money.’ As awareness and adoption of bitcoin grow in India, there are concerns among authorities about the potential for abuse by tax evaders and money launderers. Indian Taxation authorities regulate the country’s digital currency industry, with a ban highly unlikely. Regulation of the industry is also likely to coincide with taxation of bitcoin adopters in the general public. Until and unless a legal framework and regulation are finalised, such confusion will continue to exist. However, bitcoins have yet to be regulated, which means that the government is not regulating this currency the way it regulates Indian Rupee or any other form of currency. An interdisciplinary committee has already been set up by our government to explore the framework regarding virtual currency. If you are a bitcoin trader or platform provider, then so share your views on the taxation aspect, by commenting right here. Recently RBI issued fresh warnings, reminding investors that it has not authorised any entity to deal in Bitcoins and that any investor or trader dealing with virtual currencies “will be doing so at their own risk. Trading activity may also come under the jurisdiction of the Securities and Exchange Board of India (SEBI), which regulates the country’s securities market. 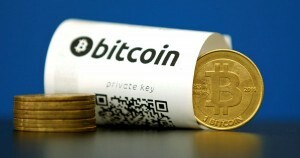 Ultimately, bitcoin and other cryptocurrencies may come to been viewed as kinds of digital assets under Indian law. When the Price of Bitcoin is start increasing : When you hold the Bitcoin, thereafter its prices get increased or rise in your Bitcoin than, you do not pay -any tax till the time you actually sale it off and book the profit or gains. you do not pay any tax till the time you actually sale or transfer it to someone in exchange of any other benefit in cash or kind, it off and book the profit or gains, irrespective of the magnitude of the appreciation. On sale or exchange of bitcoins: It means that in any of below scenarios, the resulting gains(/ loss)will become taxable, you need to declare, compute and discharge the tax liability as earlier, In the following moment taxability on Bitcoin arises. Taxation of barter transactions for buying any other thing or paying for any kind of purchases where consideration is paid in bitcoins: While the general acceptability of bitcoins in India is pretty low, it is not unusual to find savvy businesses accepting bitcoins as consideration for the sale of goods and services. Trading of Bitcoin i.e Speculative Income : This is debatable on account of lack of any law related to taxation of Bitcoin in the Income Tax Act . It will be determined on the basis of each facts and circumstances. In case of trading it will be considered as speculative income and will attract tax as per slab rate of Individuals. It the transaction are not frequent and are in nature of Investment in the currency, it would be classified as capital gains and would attract either long-term capital gain tax or short-term capital gain tax, depending on the holding period. Long term capital gains tax is 20%, but the time-period for investment should be at least 12 months. Hence, if a bitcoin trader holds his investment for a year, then it can be legally classified as long-term capital gains. Taxation on Professional Income blogger, freelancer or consultant earning in Bitcoins : If you are a blogger, freelancer or consultant earning in Bitcoins, you may be wondering how to file your taxes for income from any services rendered to clients in India or abroad. an applicable rate of income tax as per your income slab will apply. If your income exceeds Rs 10 lakh then the applicable tax rate is 30 percent plus surcharge and cess. Advance Tax payable on returns on Bitcoin investment along and Future: – Advance tax deadline is on December 15, Bitcoin investors and their consultants are trying to figure out a way to deal with the returns on Bitcoin investment along with other cryptocurrencies. As per my advices India may put in place a goods-and-services tax on bitcoin purchases. We can expect some clarity once the Finance Ministry finalises its opinion on a report on virtual currencies that was submitted to it recently. It would be interesting to see if GST will be applicable or not? Only future has answer to it. Therefore, Seller’s profit on the transaction would be equal to the INR value of bitcoins received less the cost of the table and similarly, Purchaser’s profits would be equal to the value of bitcoins received less any deductible expenses incurred while rendering the services. Conclusion: According to the law if somebody makes some money that should be subject to income tax.” Even if bitcoins were illegal, income earned needs to be declared and tax paid. No final decision has been taken but it is under active consideration. Having said that, mining, buying and selling virtual currencies is not illegal in India, but it is also not recognised by law either. There is a question mark on the taxability aspect too. So if you have been trading or investing do make sure any gains from the sale of Bitcoins is included in your income tax return. The buying and holding of Bitcoin won’t attract any Income tax liability. Until and unless a legal framework and regulation are finalised, such confusion will continue to exist.